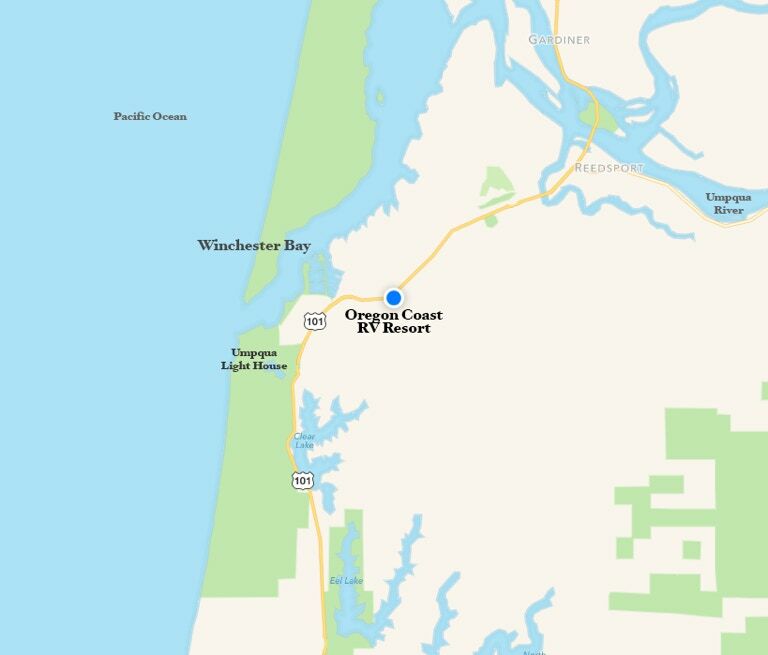 Our RV park has three bathrooms with showers, an office/store (food, drinks, shirts & gifts), playground for the kids and a creek that flows into Winchester Bay. We also have a Laundry room that is always open. 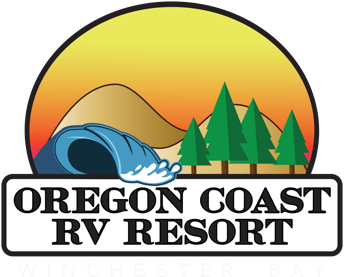 The park offers several different types of RV and tent camping sites. We have cleared/open sites that give you a view of the surroundings, and we have secluded and private sites. Please express the type of site you wish to stay in when you make your reservation. We try very hard to make your stay comfortable and enjoyable! Customer service is very important to us. We would love to hear about your stay in our park! Please click on the email address above and send us a note about your visit to our park. We would appreciate any feedback that you could give us. Feedback is very important to us and helps us determine what we need to do as we continue upgrading the park. Without the feedback we do not know what our customers want or expect. Thank you for your time and thank you for visiting our park.